Last week, I wrote a column for my “NFL Beat” weekly in the Austin Chronicle regarding the effectiveness of Wonderlic Test results (or I should say, lack thereof) in predicting future NFL productivity among draft prospects. In this piece, I cited interview notes from human performance expert Dr. Brian Hoffman who co-authored the landmark study at the University of Georgia. Today, I spoke with Dr. Hoffman about another study he worked on regarding the correlation between physical testing results at the NFL Scouting Combine and NFL Productivity vs. on-field production in college. His study on this topic was presented in 2010 and subsequently published in Human Performance, a peer-reviewed academic journal of the great esteem and tradition. The tests that were in this study were the 40-yard dash, the 3-cone drill, the 20-yard shuttle and the vertical leap as recorded at the NFL Scouting Combine over a 3 year period. The test did not take into account passing and route-running performance because those abilities are not easily quantified like exact times and distances can be. Also, no offensive linemen were used in this study because OL statistics (that do exist) do not always translate directly to productivity as we know. The bench press was not taken into consideration, because the sample size was smaller than the other four drills with many prospects not partaking in the drill. Hoffman said if they had seen reason to keep it in because it may offer a correlation, they might have- but it appeared to be absolutely worthless as an indicator anyway. As for the four drills studied, only one correlated with NFL success. The 40-yard dash. The 3-cone, shuttle and vertical tests showed statistically insignificant correlations with prediction of future NFL production across all positions other than OL. The 40-yard dash had a small negative correlation, which is actually a “positive” correlation regarding productivity since the lower the 40-time, the faster the player is. People always talk about the 40 yard dash, and seemingly it is the most popular test that the general public uses in making their own evaluations. The first question people generally ask me about prospects is their 40-time. Analysts and draftniks are always downplaying the significance of the test, but apparently the human eyeball is right in this case. 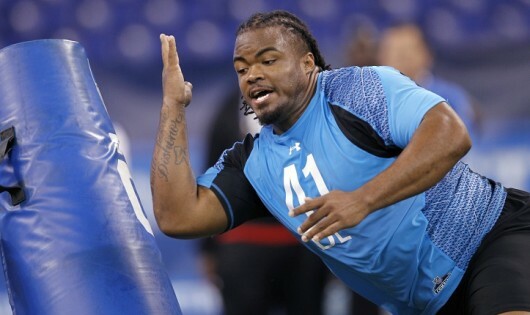 It is the only test at the combine that gave any sort of predictor of future NFL production. They tried testing 10 and 20 yard splits, but left them out of the study as they correlated exactly the same way the 40-time did across all positions. “The guys with the faster split almost always had the faster overall times. It made the findings negligible which was surprising to me, especially for defensive linemen who would seem to need that short area burst” Hoffman said. 1) The 40 yard dash is a small indicator, as mentioned previously. 2) Level of College Production is a 2 to 3 times better indicator of future success than the 40 yard dash. 3) Level of College Production is a 4 to 5 times better indicator of future success than any other drill at the Combine. 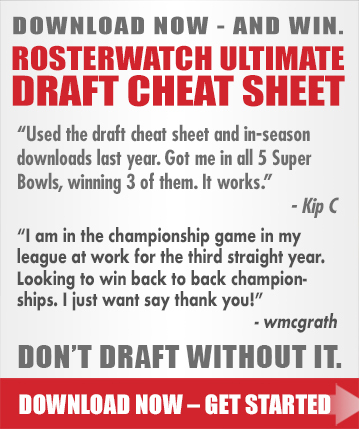 It’s easy to fall into the “paralysis by analysis” trap that the Draft media tends to during these final weeks of hand-wringing leading up to the Draft. If you believe this study, however, your work is already done if you’ve done your film study. I have always said that I highly enjoy the Combine and college pro days, but always use them to either affirm (or make me question) the conclusions I have independently come to regarding the talent of NFL prospects.